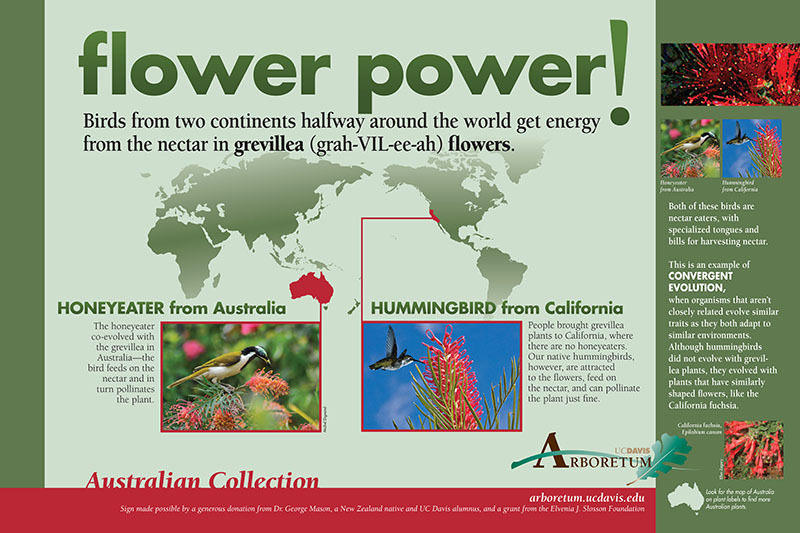 Australian / New Zealand Collection features towering eucalyptus trees combined with underplantings of shrubs and perennials from "down under," many with interesting flower and foliage forms. Visitors can see several useful groundcovers for sun or shade in low-water gardens. Some species have given eucalyptus a bad reputation, but many others are good trees for the Central Valley. 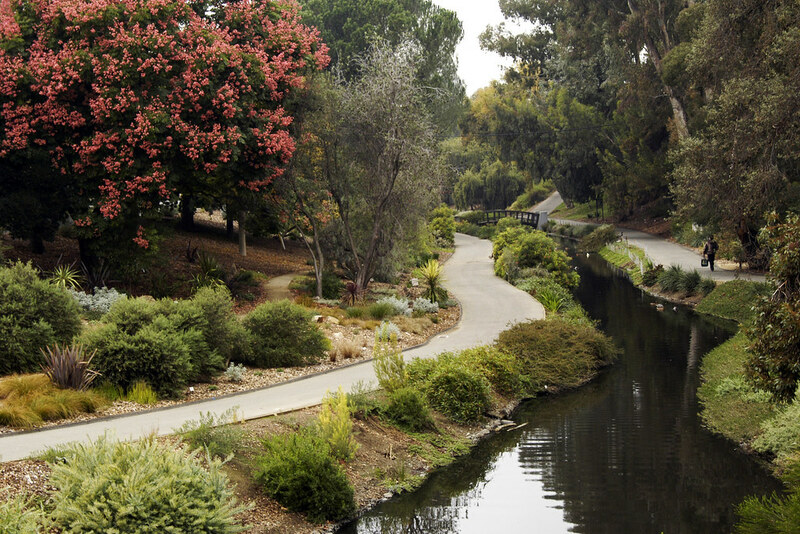 Most eucalyptus are drought tolerant and thrive in the dry summers of California. Crushed leaves release aromatic oils with rich fragrance. New Zealand flax is one of the most useful plants to the native Maori people, who call it harakeke.